Let's take a DeLorean ride back to 2002. Body kits were still in, and a must if you wanted to own a "fully built car." And fully built was a really vague term, in being that it meant what ever you wanted it to mean, but generally it meant a kit, paint, wheels, springs (or worse, those god awful coilover sleeves), strut tower bars, intake, manifold, and catback. At least in my area it did. 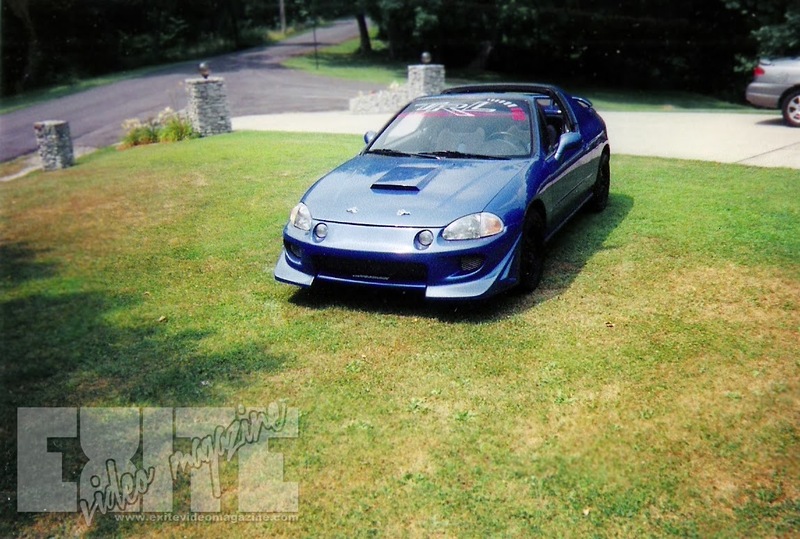 And if you had a Zex 50 shot or Greddy turbo kit, you were a god. I didn't have a swap or anything, just a good old fashioned D16Z6, and I had it rebuilt. But the guy who rebuilt it was an idiot and timed it 180 degrees out, so when it fired up it bent 4 valves. He denied any wrong doing, and said it was something we did. So after paying all that money to someone, we had to lap the valves in our selves and re-timed it, and what do you know.... it fired right up. This car and I have a lot of memories. It was the first car I put a set of wheels on, it was the first (and only) car I lost my license in for street racing. And for all that I rewarded it by putting it into a tree at roughly 85 MPH. The tree (thank God) was a slightly small one probably about 14 inches around, and it plowed down as we hit it and helped us roll over an 8 foot embankment. I don't know how, but no one was seriously injured. I did have a gnarly black eye for a week though. I'm going to try to think of my mods list and write down everything I can remember.